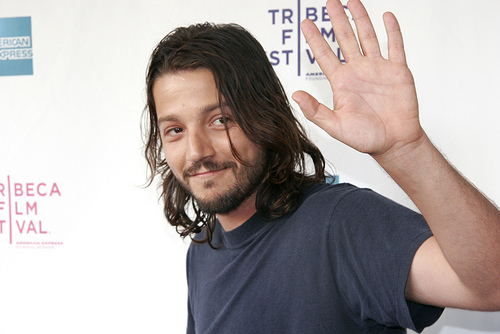 Unlike the last movie star who showed his face ‘round these parts, Latin American actor and producer Diego Luna is probably not going to draw the same massive crowd of hysterical young women. Which in all honestly is probably a good thing, seeing as how some of you ladies (and gentleman, since we don’t want hate mail showering Eshleman) seem to be unaware that deafening, maniacal shrieking isn’t flattering … it’s weird. Very, very weird. And scary, quite frankly.